Original owner Breitling Montbrillant Datora A21330 for sale, with complete box and papers. Full factory service completed in Oct 2018. $5499 OBO Currently sitting in the safe. PM me for high res pictures (they are too big to upload). I'll be happy to share a dropbox album or video conference with you. Thanks for interest! Probably could've described the watch better. It is stainless steel case/band with the white face! Watches sell better with pictures. You obviously know what you are doing, so why not down-scale a few of your photos to include here. 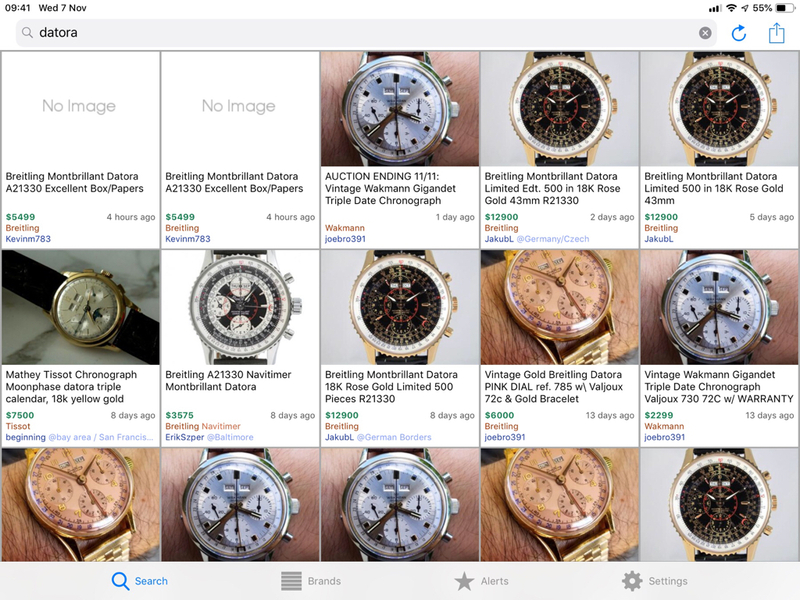 Besides, over on watchrecon, where many people start their searches, there is your listing looking anaemic in a sea of other tempting propositions. Arcadelt thanks for pointers. Pics I have very high res and I am trying to figure out how to scale them down. What operating system do you use on your computer? Make a copy of your high-resolution photos to keep safe. 1. Double-click the images you want to resize to open in Photos. If Photos isn’t the default app, then Right-click and choose Open with, then choose Photos from the sub menu. This should get them to a size reasonable to upload.